The UK’s first openly trans referee is set to officiate her first match on Sunday afternoon (August 19). Lucy Clark is the only out transgender referee in UK football, according to the Sunday Mirror. She will officiate her first match in a woman’s league since coming out as transgender on August 19. “I hope the world accepts me for the person I am,” she told the Sunday Mirror. Clark had previously officiated more than 100 games in men’s leagues – including Combined Counties, the Isthmian and the National Under 19 – before she publicly came out as transgender. The referee, whose wife Avril has been supportive of her transition, said she was nervous about the reaction from football fans at matches. “I’m preparing myself for the ­derogatory comments. I don’t want to lose my control and I don’t want to be putting complaints into clubs about the behaviour of their fans,” she told the national newspaper. The Football Association has backed Clark. It said in a statement Sunday Mirror: “The FA fully supports Lucy and anyone else who wants to participate in football in their preferred gender. 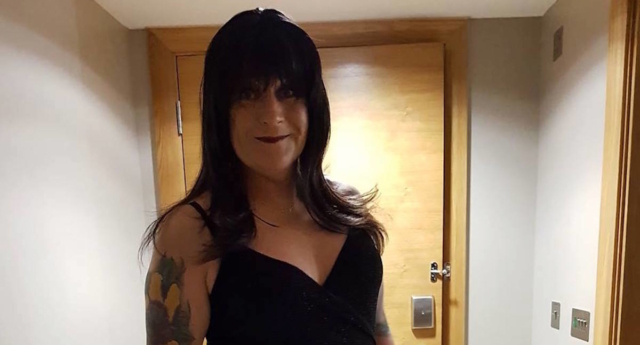 Clark, who is a taxi driver, also launched a radio station for transgender people, called Trans Radio UK, which she said is currently being broadcast in more than 39 countries.